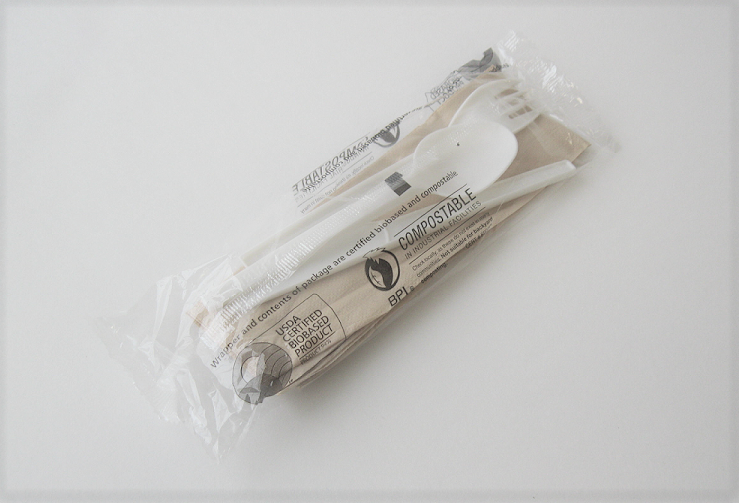 PLA cutlery kit is 100% biodegradable and compostable. The cutlery is made completely out of plant based resins. Our Cutlery Kit comes in a PLA package. Cutlery kit Includes Fork, Knife, spoon and a napkin.